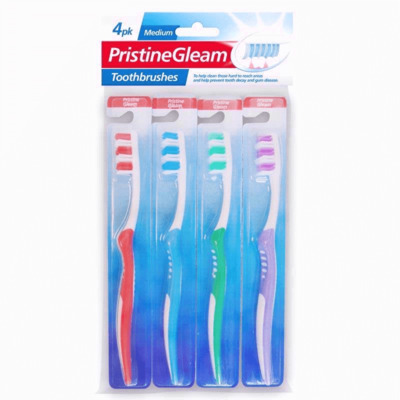 Ensure every single one of your patients has the correct equipment to keep their teeth in optimal condition with our Adult Toothbrush 4 Pack. Ideal for bulk purchase, these handy packs come with four manual-use brushes that can be easily stored aside until required. Each brush has long lasting bristles and can be combined with your choice of toothpaste to maintain a high level of dental hygiene. Add a tube of Crest Mild Mint Toothpaste to your basket and complete your order to dental perfection. Alternatively, for on the go care or for use with day-patients, our Disposable Toothbrushes make a fine choice.